Your smile can have a major effect on your self-confidence. 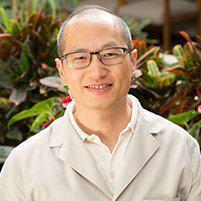 Dr. Peng helps patients in Gardena, CA, get the straight, beautiful smiles they crave so they feel great about the way they look. Invisalign is an orthodontic treatment that uses a series of clear trays or aligners instead of metal wires and bands to shift your teeth into proper alignment. Because the aligners are removable, you can take them out to eat, to brush and floss your teeth, to go to the dentist and even for social events. Plus, because they're clear, they're virtually invisible even when you're wearing them. Invisalign begins with an impression of your teeth, which is scanned into a computer to create a 3-D image of your mouth. Special software is used to model the changes your teeth would need to make over time to achieve ideal alignment. Using those models, your customized set of aligners will be developed to gently guide your teeth into alignment over time. Will the aligners make it difficult for me to speak? Most people find they have a brief adjustment period as they get used to the feeling of the aligners in their mouths; however, since the aligners are very lightweight and comfortable, the adjustment is typically brief, and most patients find they have no difficulty speaking normally with the aligners in place. Since each individual aligner causes a shift in the position of your teeth, there may be some slight discomfort when a new aligner is first worn. Discomfort will resolve as your teeth shift into the new position. How many aligners will I have to wear? That depends on the length of your treatment. Most treatments can be completed in about a year or less. No, Invisalign also makes a version for younger patients – Invisalign Teen – which offers unique features like removable tabs for teeth that have not yet fully erupted and compliance indicators to make sure the aligners are being worn properly.